Field-proven industrial wireless Ethernet bridge utilizes 2.4 GHz and 900 MHz frequency hopping spread spectrum radio modem technology to allow remote Ethernet connections to be established with PLC and other SCADA system devices. Point-to-point or point-to-multipoint operation supports a full range of network possibilities. Longer distance and area-repeater capabilities. IP addressable radios - network or serial port configurable. Compatible antennas, solar panels, batteries and other accessories available. 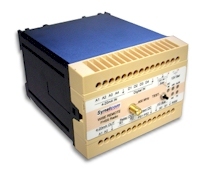 High precision point to point and point to multipoint connections of remote sensors and data acquisition gear using Synetcom's 4-20ma Wireless I/O spread spectrum sensor radio modem links. Supports multi-channel 16 bit accuracy 4-20 mA current loop and digital I/O. Unlicensed radio modems operate at 900 MHz and 2.4 GHz - providing reliable links from 1000' to >35 miles, with low DC power consumption. 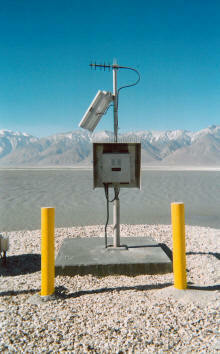 Features include receive signal strength measurement, gated sensor power supply, and internal solar panel regulator. Compatible antennas, solar panels, batteries and other accessories available. Longer distance and area-repeater capabilities. Telemetry radio capabilities. 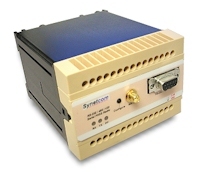 Connect Synetcom's Radio Telemetry I/O Expanders and other industrial serial devices such as PLCs, RTUs, modems, controllers and sensors without cable over distances of up to 40 miles. Build multisite RTU or PLC SCADA systems that are networked to each other or a host computer serially. Secure 256-Bit AES encryption is available with the high power 900 MHz radio modem option. 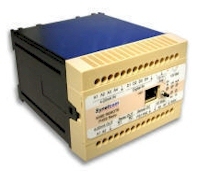 Supports RS-232, RS-485 and RS-422 interfaces. Unlicensed radio modems operate at 900 MHz and 2.4 GHz. Compatible antennas, solar panels, batteries and other accessories available. Longer distance and area-repeater capabilities. Telemetry radio modem capabilities. 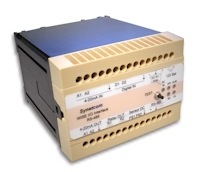 The Radio I/O Expander can be used to build out industrial I/O points (precision 4-20 mA, Discrete, Relay) across a facility or region linked by Synetcom's SCADA Serial Radio. One radio is required per site and connects to site Expanders using the radio's multi-drop RS-485 bus. 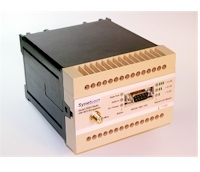 The Ethernet Radio Distributed I/O System module can be used to build out industrial I/O points (precision 4-20 mA, Discrete, Relay) across a facility or region linked by Synetcom's 900 MHz or 2.4 GHz SCADA System PLC Wireless Ethernet Radio, plant Ethernet network or Category 5 cable. Build Ethernet-based distributed I/O data acquisition and control networks. Wireless data acquisition and control, including Modbus. 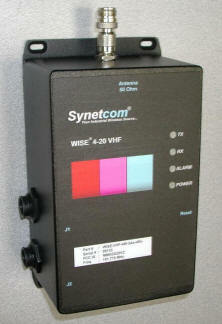 Connect PLCs, Sensors, RTUs to host applications using Synetcom's wireless 1 Watt spread spectrum radio modem links. 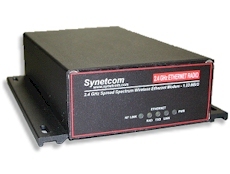 Unlicensed radio modem operates at 900 MHz - providing reliable secure 256AES encrypted links from 3000' obstructed to 40 miles LOS, with low DC power consumption. Front panel signal strength "bar" display. Compatible antennas, solar panels, batteries and other accessories available. Longer distance and area-repeater capabilities. Rugged cast aluminum enclosure - IP65 rated. Connect remote sensors and data acquisition gear using Synetcom's wireless VHF UHF radio telemetry RTU. Supports multi-channel 4-20 mA current loop, serial, digital, pulse counting, RS232, RS485, and Modbus connections. The ultimate long distance sensor radio - requires FCC License - ships factory configured.